The Fiat automobile occupies a significant spot in my memory bank. For most of my life, my Father worked in automobile sales. Like other businesses at the time, auto dealerships were not the big box megastores that we see today, they had a scale that fit the neighborhoods that they were in. If you wanted a television, you went to an appliance store, and you bought your lawnmower at the hardware store. In the mid 1950s, the European small car trend started, with Volkswagen being the most visible. In St. Louis Mo., there was a midtown dealer that sold a few brands-they also sold the original Vespa scooter. My Father, ever restless, and usually impetuous, decided to open a Fiat dealership. I am certain there was a backstory, there always was. (Somehow Franklin Roosevelt Jr. was in the picture-look it up), but my grandparents were Italian immigrants, and he tended to gravitate towards things “Eyetalian” (his word, not mine) anyway. If he needed a plumber, he would open the Yellow Pages, scroll down until he found a name that ended in a vowel, and that was how he made his choice. That cute little Fiat “Cinquecento” that is so trendy right now was our family car, our daily driver. I believe it is the car my mother learned to drive in and used to take her driving test. “Foreign Cars” seeped into our culture very, very slowly, especially in the conservative Midwest, and it was not yet the right time for a standalone, single product dealership. There weren’t big advertising budgets and splashy product announcements like there are now. Each year, you just saw a few more Renaults, Vauxhalls, and Saabs (we thought they were Finnish, but secretly made in Russia) on the road. Obviously, the U.S. auto market was going in the opposite direction. Bigger was better, and the 1957, 58, and 59 American cars began a trend that said “Bigger and Better” than just about anybody else. The Fiat dealership was a financial disaster, it took its toll on our whole family. For years afterward, my Grandfather would spit on any Fiat he saw-his expression of contempt for the symbol my father’s financial problem. My father was dramatic, had a huge, varied vocabulary, and he loved wordplay and verbal gymnastics. Aside from speaking two languages, he made up quite a few words of his own. He often Latinized words, adding the “-us” suffix, so he referred to this brand as “Fiatus”, and one of his conversational dramatics was to repeat what he just said. I often heard him say “Fiatus Fiatus”, and with this phrase in mind, there could be no other title for this photo. This one is for you, Pop. 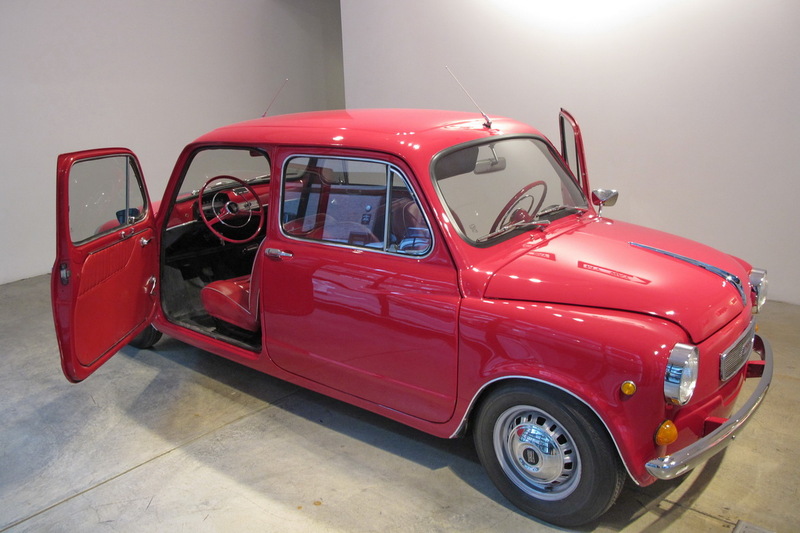 This entry was posted in Other Stuff and tagged Cars, Cinquecento, Fiat, Fiat 500, Italian, Red on August 22, 2014 by Jimmy Reina. 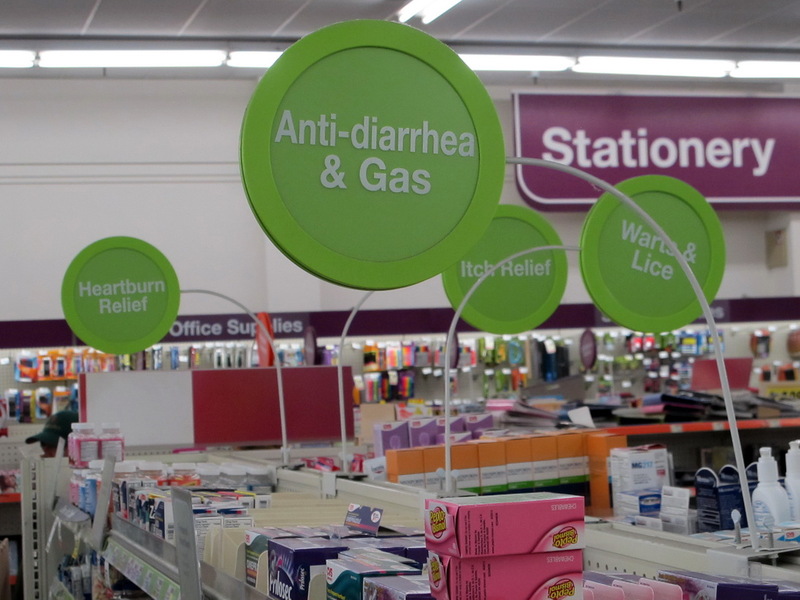 This entry was posted in Other Stuff and tagged drug store, pharmacy, Sign on August 18, 2014 by Jimmy Reina. I was raised in the American Midwest, and Palm Trees just weren’t part of the natural urban environment of St. Louis, Mo. 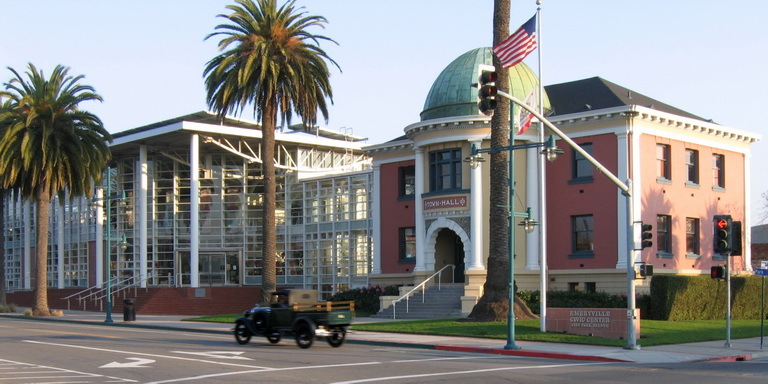 The arched, dome topped building is the Emeryville, California Town Hall, built in the late 19th or an early part of the 20th Century. The way that unique, classic building entry is framed by those two beautiful Palms, gave me a kick every time I went by there. A few years ago, City Hall expanded, adding the modern glass structure (and more Palm Trees). Every time, I drove by, I thought, the contrast of these two buildings was a picture I wanted to take. Emeryville has a colorful past, and probably a bright future.For most of the 20th Century, it housed slaughterhouses, manufacturing, steel mills and warehouses. There was also a period when it was known for its speakeasies, bordellos and gambling houses. Local legend has it that one of its Mayors conducted most City business from a local saloon, rather than City Hall (how could he not want to spend time in that great building!). With the American decline in manufacturing, Emeryville looked like ghost town for a few years, but it seems to have turned around in the 1990s as shopping (IKEA), bio-tech (Chiron/Novartis) and other tech concerns moved in (most notably, Pixar). As I was shooting this photo, a Model T pickup truck rolled through, driving past the “old” Emeryville building, and moving towards the new. It was just dumb luck that I was standing there with a camera-a happy accident. This entry was posted in Photography and tagged Emeryville Ca, Model T, Palm Trees on August 2, 2014 by Jimmy Reina.